2. The young startups with steep learning curves. Zeta is a lethal combination of both! 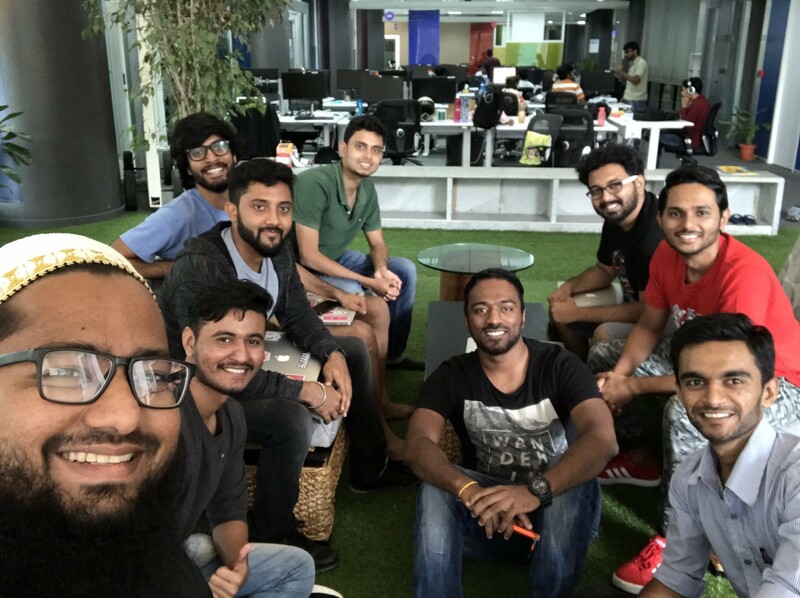 A part of the famous Directi Group, Zeta, is one of the few successful startups dealing with the digitization of employee payments, benefits, claims, and rewards. Zeta marked its presence in the fintech industry 2 years back by offering a cloud-based smart benefits suite. The Optima range comprises of smart benefits including meal vouchers, fuel & travel card, communications card, medical reimbursements, gadget card, gift card and LTA card. The prime objective of Zeta is to give the stereotypical methodology of the transactions within the organizations a digital shape, making it fast, inclusive and safe. Recently, Zeta is the proud recipient of the FinTech Rising Star Awards at the India FinTech Awards 2017 held in Mumbai. 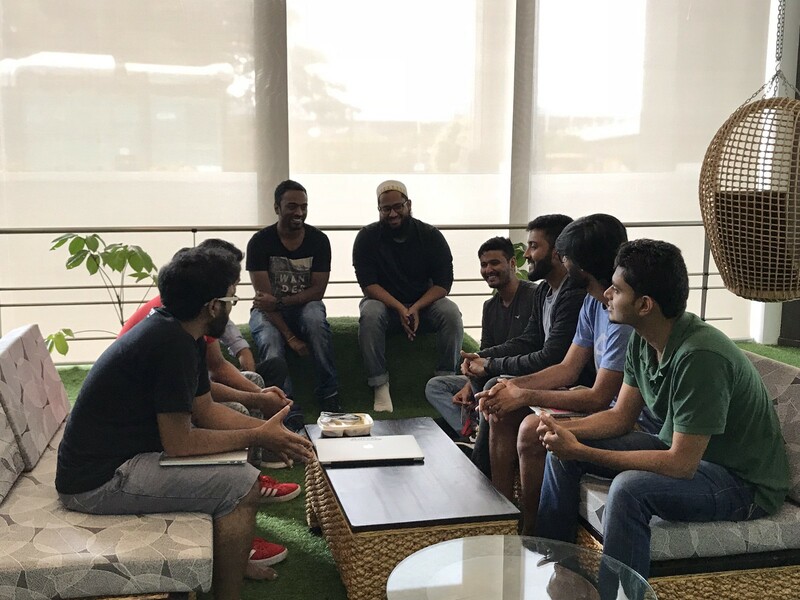 It was co-founded by Bhavin Turakhia and Ramki Gaddipati, who are currently holding the offices as the CEO and CTO respectively. Impressed by their accomplishments, freshness in their product and their unique attitude towards the industry, Iconscout approached the organization to cover an interview with them. 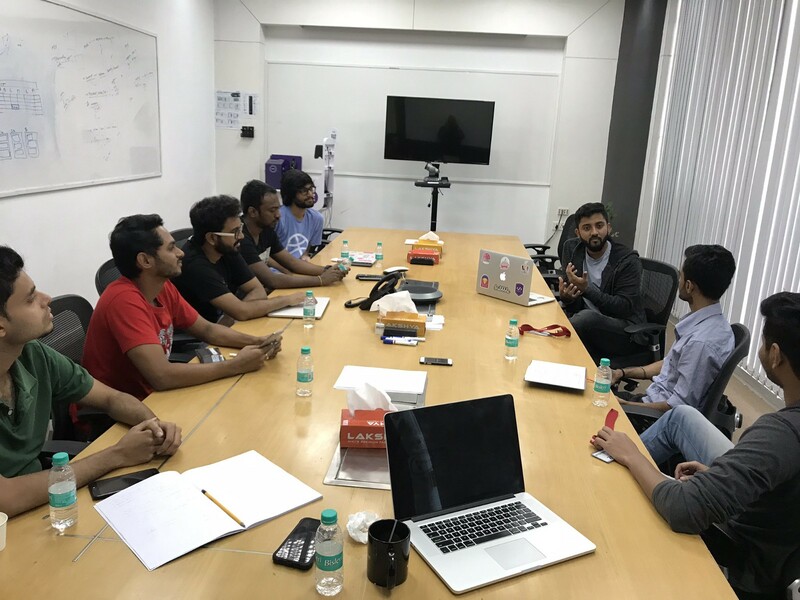 Owing to our past successful articles, our team members Dalpat Prajapati and Varun Trivedi had interacted with Zeta design team comprising of:: Ramakrishna V, Saptarshi Prakash, Mustafa Quilon, Kshitij Pandey, Kushagra Agarwal, Vivek Ravin and Abhisek Mishra to learn more about the organization. Varun: Can you please explain Zeta in layman’s terms? Kshitij: Since long, the Indian corporate sector has been a victim of extensive and laborious paperwork. For instance, to claim one’s company’s benefits such as meal medical, communication, or purchasing a gadget etc., an employee must submit hard copies of the respective bills to the HR. In turn, HR needs dedicated team resources to take care of the claims. Thus, making the entire process irksome and demanding. As a solution to this problem, Zeta aims at leveraging technology to provide a paper-free (hence, stress-free) service to companies and their respective employees. How Zeta works is, every employee is issued a Zeta Super card. 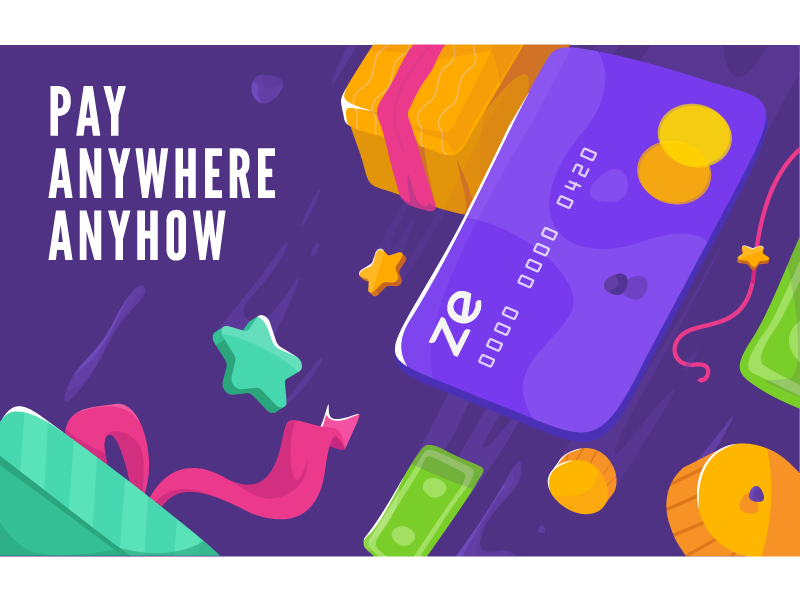 The Zeta Super Card is a powerful card which has multiple benefits wrapped inside a single card and deducts the balance from the respective benefit depending on where the card is swiped. For example, if you swipe it at a restaurant, your meal card will be deducted; similarly, a transaction at a hospital with the same card will deduct your medical benefits balance. If compliance needs a bill to be submitted, you can click a picture of that bill and upload it via the Zeta app or website, hence making the entire process paper free. Supercard comes with robust anti-fraud security measures that enable our consumers to make payments across more than a million outlets and online stores. Dalpat: Is Zeta super card only available for corporate employees? Saptarshi: Yes, currently it’s in a closed loop which means that an employee ought to sign up with a special code given by their corporate administrator. At present, we are focusing only on exploring one sector — B2B (Business to Business). After the successful accomplishment of our expectations, we will redirect our full facilities towards other areas. Varun: What are your thoughts about payment evolution? Saptarshi: : In the past, a person with a bulky wallet would be considered wealthy because a fat wallet would naturally imply a lot of cash inside. Then came the era of plastic money like credit and debit cards. That made a commendable attempt to reduce the bulk of our wallets. But if you see today, in addition to various credit and debit cards, we also have a multitude of membership and loyalty cards from the brands we love. Our wallets are still fat! At Zeta, we thought of replacing this whole thing with a mobile app. Or perhaps a single universal card for every purpose. 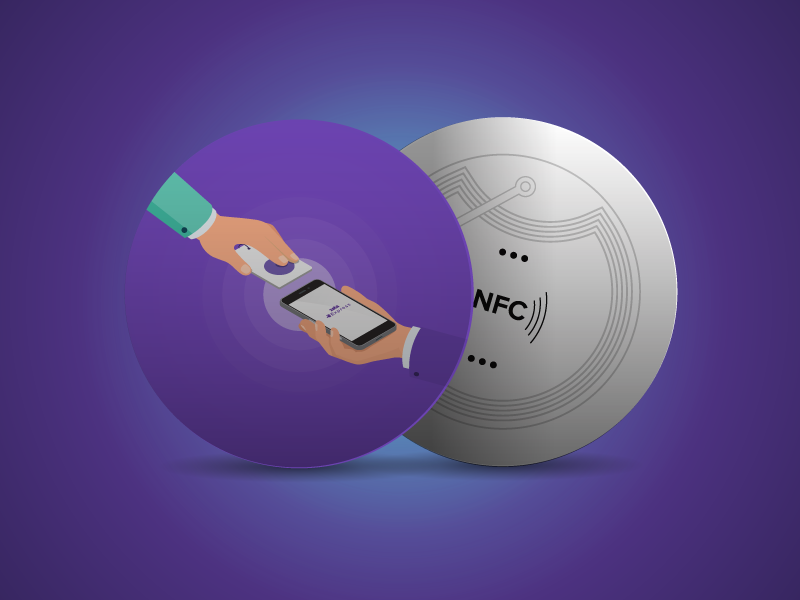 Or even better, a small NFC sticker which you can stick anywhere and make payments by simply tapping it to the phone of the merchant. This way, you have the liberty to not just forget your physical wallet, but your mobile phone as well. Seeing the pace at which all these things are evolving, I strongly feel that the future of payments is intangible and unimaginable. Maybe something where you don’t need to rely on any device. Maybe you just think in your mind and voila… your payment is done! 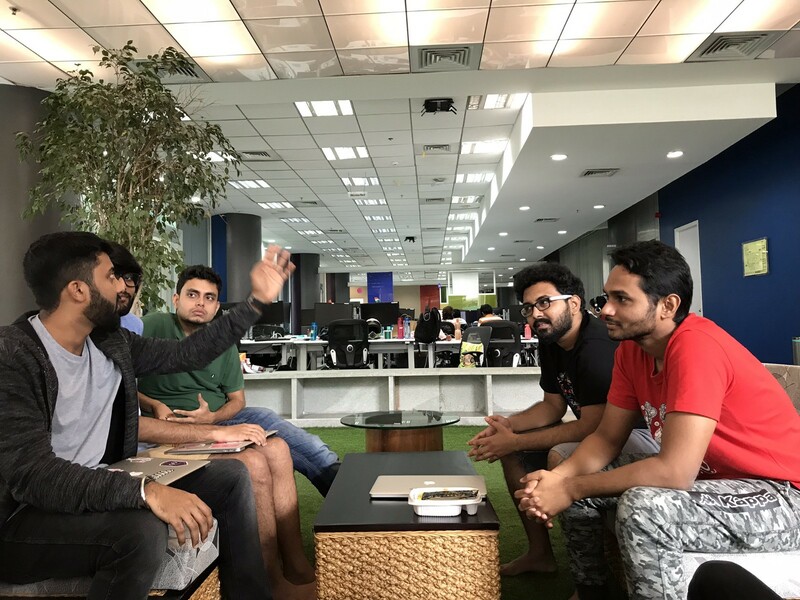 Varun: How have you setup the design team and what is the current structure of it? Ramakrishna: For us, User Experience is a vital aspect because, after all, we are building products for the users. That is why, it is important for us to have everyone on the same page, knowing what we are actually doing and why. At Zeta, we believe in equality; hence you won’t see any hierarchy between us. Before colleagues, we are friends allowing us to work comfortably with each other. We have seven different personalities on our team. Kushagra, Designer and Front-End developer, is our visionary guy. He’s always up with the latest trends in technology around the world and shares it with other team members. Vivek, Visual design lead, is our Mr. Perfectionist. He is a pusher of precision and sometimes it becomes irritating for few but at the end of the day, we all are improving our skills with his niche eye for detail thing. Abhisek, who joined recently is a very inquisitive guy who is keen to learn new things. Saptarshi, a full stack designer is basically the producer. He is a wizard with his software. He knows all the quick ways to finish a task and is almost obsessive about streamlining his workflow. Kshitij, Interaction design specialist is our Straight Shooter. If he thinks something is great, he will tell you. If they think something is unsatisfactory, he will tell you to your face. He will give you his honest opinion, especially if he thinks it’s going to make the work/team better. Mustafa, who heads interaction design is our wolf; we like referring him as Mr. Cool. He excels in High-pressure situations. During the time of crisis, it is Mustafa who comes forward to soothe and pacify the entire team. And lastly me, they call me the head of design but I call myself a Closer. I act as a bridge between the design and the development team. Designing is only half the battle, we need to assemble all the different design aspects and deliver it to the development team in such a manner that they can develop it without any problem. With deep, unending love for specs and annotations, and the technical know how to wade into detailed conversation with engineers, I make sure that the rubber meets the road. Dalpat: How is your design process? How often do you organize design sprints? The designer’s role here is very critical. Not only do we need to design something which is easier, faster and scalable to build but also usable, functional and delights our users. Kshitij: About sprints, we regularly have engineering sprints to make sure that design team should be one sprint ahead of them. Before sending our output to the development team, we discuss it with our Project Manager. So, our first sprint is usually carried out with Project Manager and then we go to developers. Dalpat: What approach do you use for user research? Mustafa: Any incoming feedback through various channels like DSATs, App reviews, social media, etc. is taken very seriously at Zeta. It’s everyone’s job to make sure our user’s get the best experience. Yep, this is mostly reactive, however, we try to proactively reach out to our customers and try to talk to at least 1 every fortnight. The best and the most true feedback comes from the actual customer who you don’t know, who’s using your product under real circumstances in their real job for real reasons. Varun: As Zeta is implemented at the corporate level, was it easy to educate employees about the product? Saptarshi: A B2B product comes with its own challenges. I actually prefer calling it B2B2C; because at the end of the day, it is always a consumer that consumes the experience. For educating users, we go with the regular B2C approach of having in-app tutorials. Along with that, we also educate the employees by meeting them in person. Zeta is a completely customizable product and each company establishes their own rules and settings in the app. Hence, we are bound to make the extra effort. Rama: In my view, B2B is challenging because if something goes wrong even for an individual and if s/he logs a complaint against the app, then there is a possibility of losing a corporate client. Also, while creating their own set of rules, there are times when a company might face some ambiguity problem. To make it more user-friendly, we have to change UI many times. Dalpat: How do you collaborate with other teams? 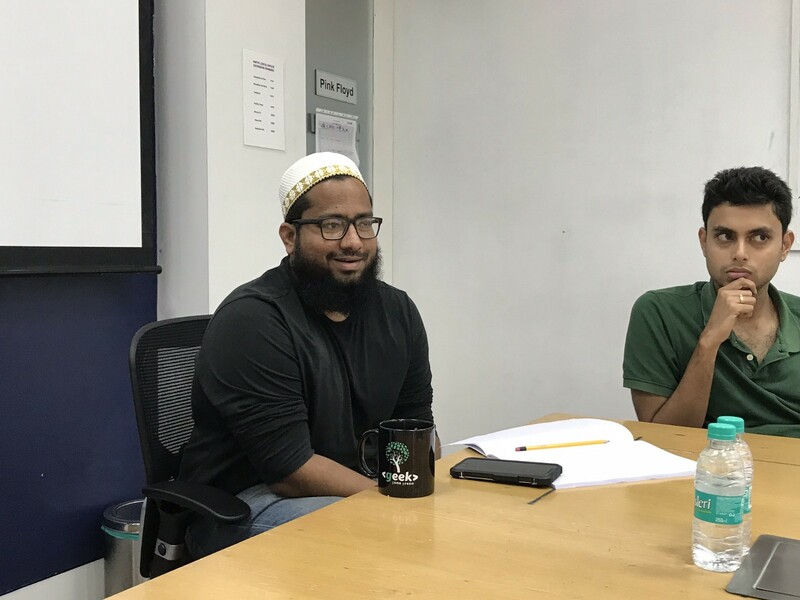 Abhisek: At Zeta, there is no bifurcation among teams, even we do not use roles such as UI designer, UX designer or Hybrid designer among ourselves. With a view to giving better User Experience, we work cooperatively. 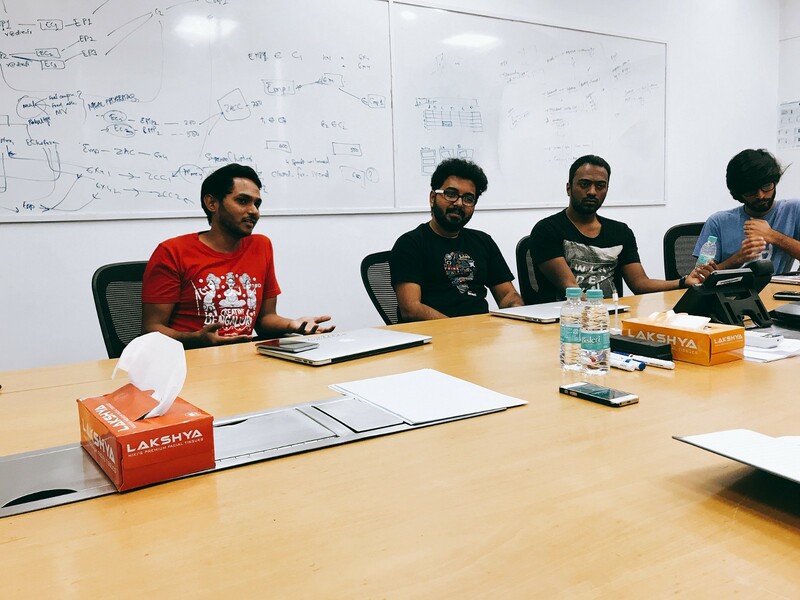 As Rama mentioned earlier, after having a discussion with the Product Manager, we do user interviews about it which is followed by a team discussion for further execution. In design perspective, we come up with a rough paper sketch followed by a quick mockup. After reviewing it internally, we contact the engineering team to ensure the probability of its implementation. Once we have developed the design, using Zeplin it is sent to the development team. For the suggestions and reviews received, we have a separate discussion among the team members and if found appropriate we implement the same. As everyone knows, the design is a never-ending process, hence the cycle continues until a perfect product is manufactured. Varun: Talking about Visual Design, Zeta has beautiful icons and illustrations both in Web and App. Who is the main person behind it?Vivek: I’m currently working on Zeta Optima Dashboard. The early illustrations on website and icons were designed by Afsal and Rahul Menon before I joined the Zeta team. I have been involved in designing the guidelines of Zeta UI to keep it consistent across all platforms. Varun: What are the tools you prefer to use for designing? Mustafa: Paper and pencil are our best friends :) When it comes to digital tools, there are some amazing tools out there and we use a wide variety of them. 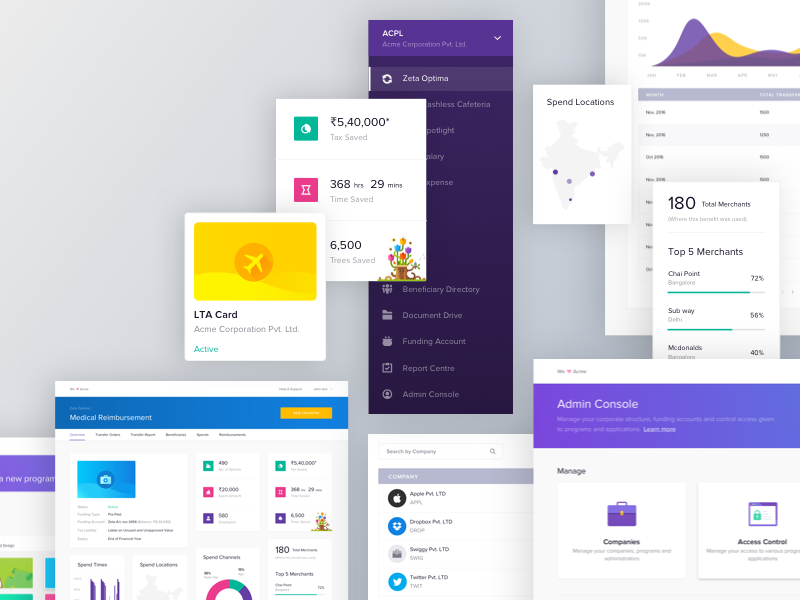 Within the team we use Sketch for UI Design, Illustrator for Illustrations, Photoshop for Photo-editing, Principle for quick prototyping, After-effects for detailed and minute interactions, Zeplin for sharing with developers, Marvel for Sales Demos, etc. We also make sure to try out anything that’s new and adopt them if they add value to our existing design process. Varun: Nowadays the majority of the new startups are following design first strategy rather than sales first strategy. What is your take on that?Rama: Yes, even I feel the same. Fortunately, that is not the case with Zeta where both of them are dealt with the same sincerity. At Zeta, along with fixating at the novelty of our products, we deal with the design and sales; both go hand in hand. Dalpat: Before concluding, do you want to share any words of wisdom for beginners? Saptarshi: Definitely, all I want to say is keep your eyes open. With the internet available at your disposal, whatever you need is around you in great abundance — resources, opportunities, and problems. You just need to have an eye to identify them and utilize it to the fullest. Rama: Well, I’ll advise them to stay away from the trap of making money. In my experience, I have observed many graduates joining the design industry due to massive money involvement. To accomplish something in this industry, an essential fuel is a passion towards problem-solving. If you excel in your work, you will be paid heavily. Furthermore, I would advise having an open mindset as this is a constantly evolving industry where new trends and advancements are made daily. Mustafa: Yep. The internet is a blessing and it is possible to learn everything that you want today. Also, things change fast in tech. What’s new today will be old tomorrow. You need to constantly learn and unlearn. Be ready to hustle and have an undying hunger to learn. Iconscout is grateful to the team members of Zeta for managing some time for us in their busy schedule and answering our questions. It had been a great experience interacting with them. Recently, Zeta has organized Dribbble meetup on 18th November in association with Flock, Iconscout, IndieFolio and DesignBoat. 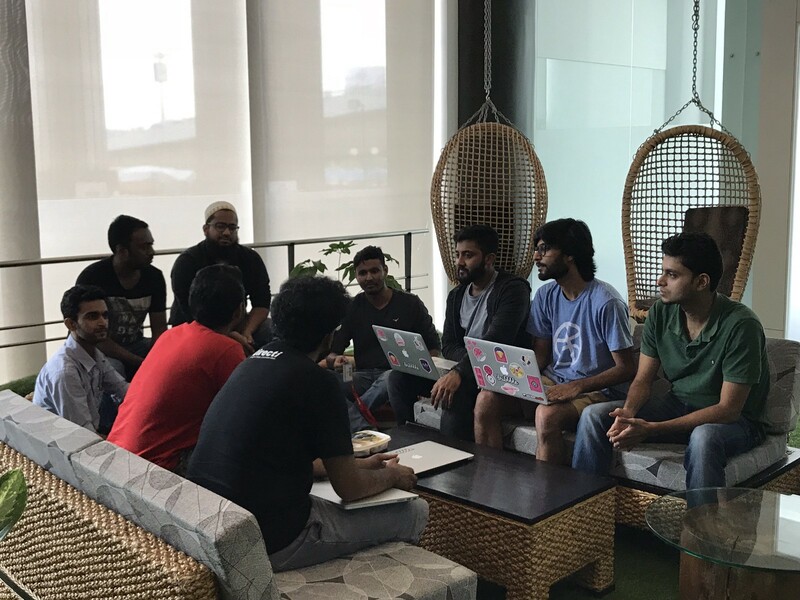 Know more about the amazing meetup in this full report. Originally published at Iconscout — An Icon Dictionary. Co-Founder and Marketing Head at Chamestudio Pvt Ltd. Content Head at @iconscout.